You more than likely will want to have more than one resume draft. You must edit your resume for the particular position that is open at the company that you think you can meet the qualifications for. Your resume represents you to an employer whom you have never met. So take the time to prepare a resume that is informative and effective. If it is poorly organized, or has misspelled words, then you have just created your first negative impression. Bear in mind that in as little as 60 seconds, a decision will probably be made as to interview you or not. 1. Download one of my formatted resumes. Then on a separate sheet of paper prepare a first resume draft. 2. Your name, address, phone#, e-mail ect should all be presented at the top of the hand written draft page. 3. Your objective should be edited every time you apply for a different position. Also, change your wording and get creative depending on the position you are applying for. 4. Qualifications for the position you are applying for, should stand out like a sore thumb. List in bulleted form, only the knowledge you have, for the position you are applying for, in bold type, to make it stand out. Relate here any skills you can apply to the position you are trying to win. Don't list skills that are not related to helping you win the position. 5. Work history should be listed in reverse chronological order. The date and the company you worked for should be bold type. List your duties but keep it short and relevant. We want to achieve a one page resume if possible. 6. List your education. Where your education took place, also below that you can add any relevant special training or courses you have at any other college. 7. If you are computer savvy, then I would also list all your skills last but not least, as these could be very important, depending on the position you are trying to win. If you can keep your resume to one page, it will present better when the employer is looking it over. When you are done, look over your hand written resume draft information and make sure everything is correct. You should now be able to backspace the downloaded resume in Word, and add all your information. Just follow the formatted resume, and replace my info with you own. When you are done editing, your resume should look like the template. One page with your name bold, the position you want to win, bold, your qualifications for the position, bold. These will be the first items the employer's eyes will see as they look over your resume. As you notice, the important items will stand out for them. The employer does not want to hunt for your information. 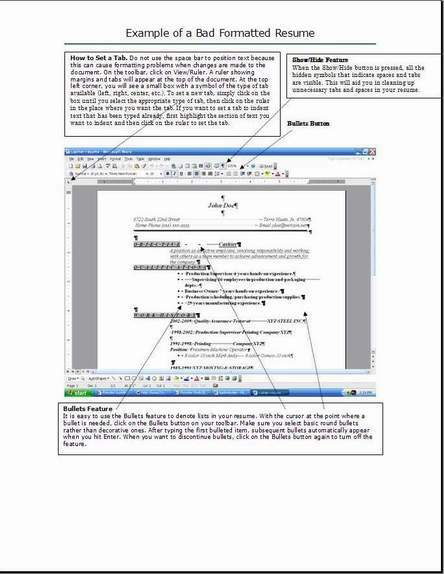 Open this example of a bad formatted resume in word. Just so you can see the example. 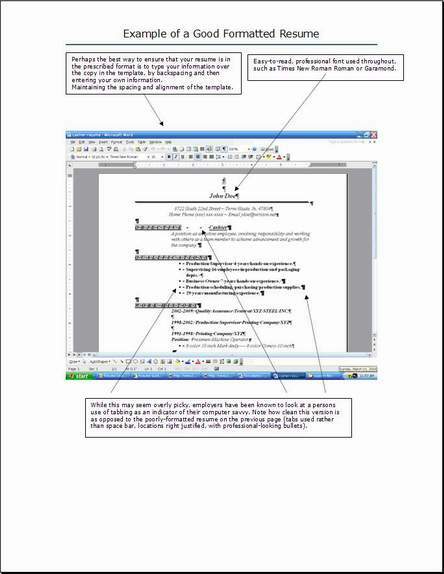 Open this example of a good formatted resume in word. Just so you can see the example. When you complete your draft, and start to put together your resume from your hand written paperwork, the end result should look like this once you finish editing one of the resumes you download here. 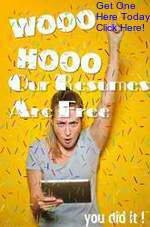 Print your new resume on your regular printing paper, then go to my next step, Organize Resume.